Ogoh-ogoh parade 2015 has lasted. 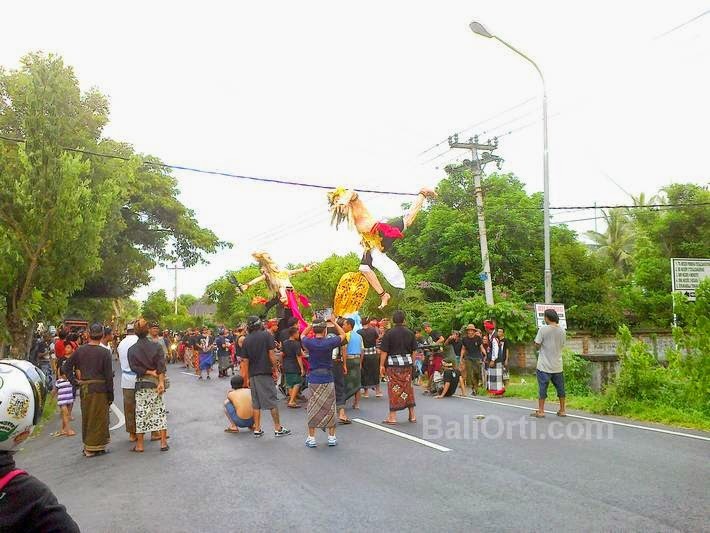 All ogoh-ogoh made by young people of Bali has been paraded and burned. This year is very impressive for the people of Bali. 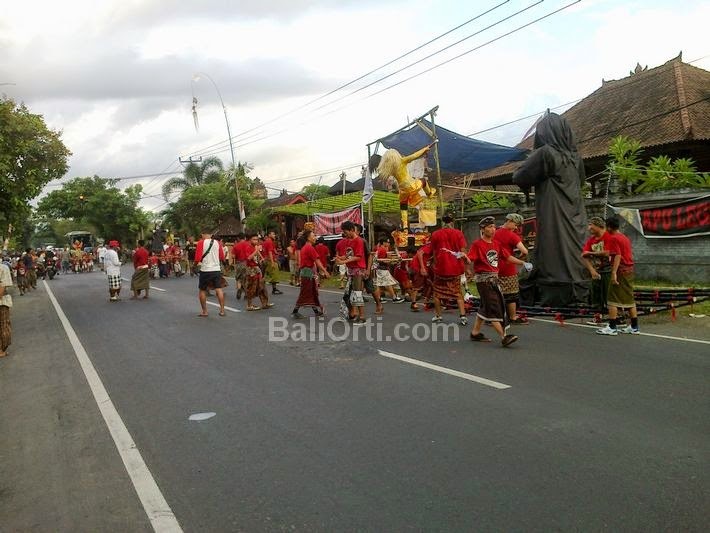 Because the government is full and unrestricted support in the implementation of ogoh-ogoh parade 2015. 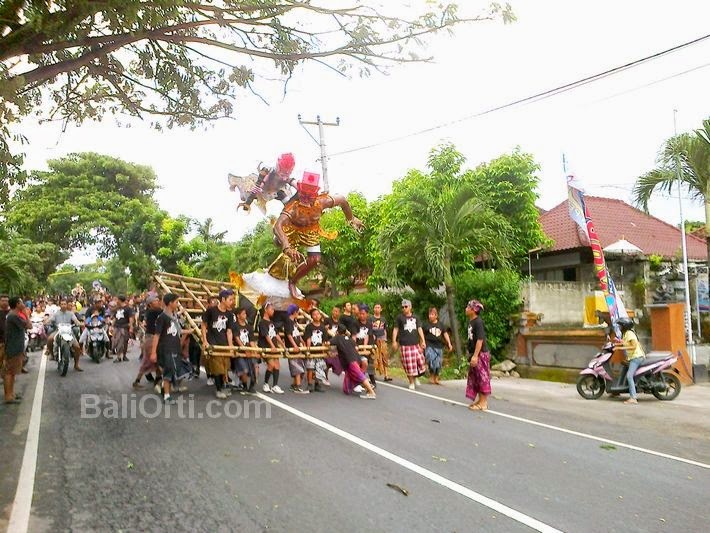 Almost all youth groups in Bali make one ogoh-ogoh are paraded in the city and in the village. Down the big road through the village. 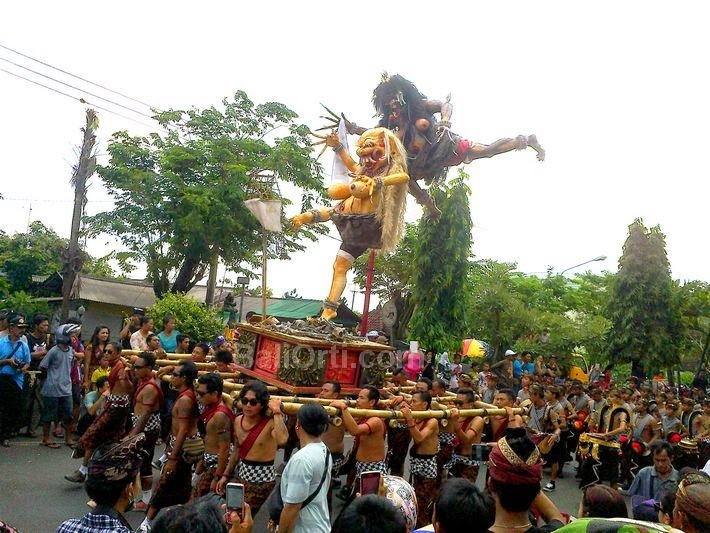 With great joy all the young people gathered in the streets of Bali witnessed and accompany the staging of ogoh-ogoh. Theme suggested by the relevant government making of ogoh-ogoh is about butakala (evil creatures). The government banned the manufacture of ogoh-ogoh with the theme of one's character. The government also call on all young people of Bali to make ogoh-ogoh using paper and bamboo to make it more environmentally friendly. Prohibit the use of sponge and sterofom. Using natural materials. 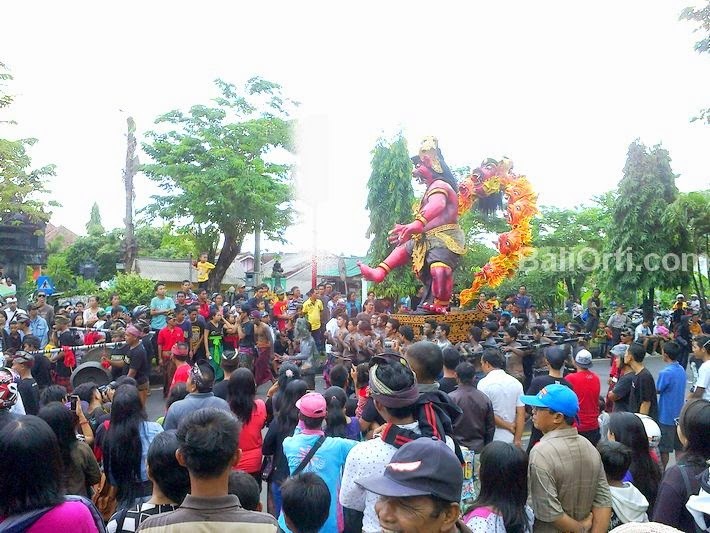 Read also: Ogoh-Ogoh in Jembrana Tabanan Badung Denpasar Bangli Gianyar Klungkung Karangasem Buleleng, Bali's regency. Ogoh-ogoh 2015 this year goes well and smoothly. Although some locations unrest and conflict, but all of them can be addressed properly. There is no suspense and action push each other. Supervision of pecalang (custom security officers in Bali) and the police are very optimized, so that young people are parading ogoh-ogoh not triggered emotions when meeting with other groups. 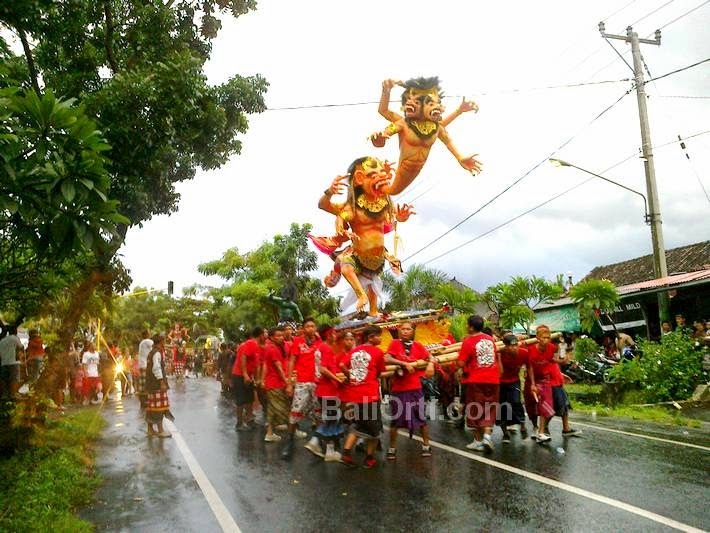 Despite the rain hit almost the entire region of Bali, but the implementation of the parade goes well. Ogoh-ogoh made of paper is not easily damaged by rain water, because all ogoh-ogoh been in the paint with a good and thick. So that the water does not easily damage ogoh-ogoh. 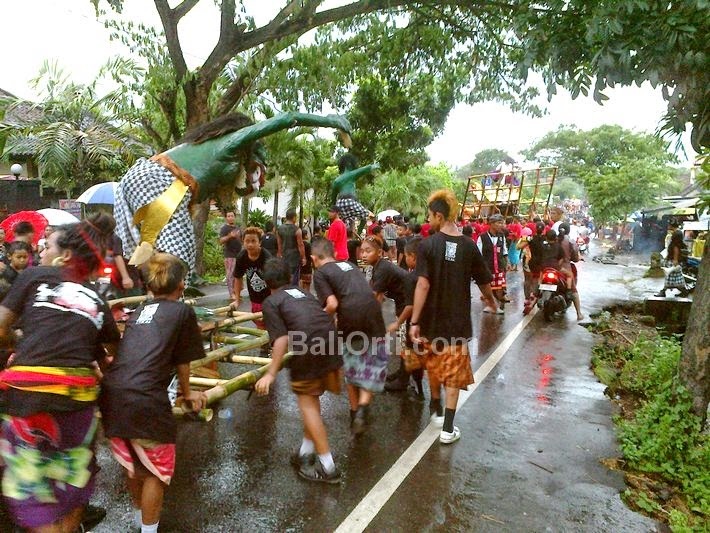 Rain was predicted to occur when the parade takes place, young people of Bali are anticipating all the possibilities that can occur when the parade took place. 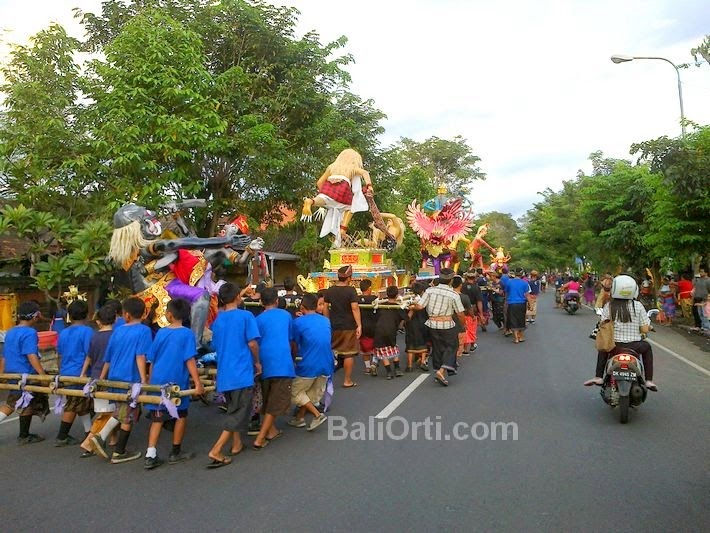 Not only the young people of Bali who took part in the parade, as well as children participate in ogoh-ogoh parade. This year the children allowed to participate in the parade of ogoh-ogoh. 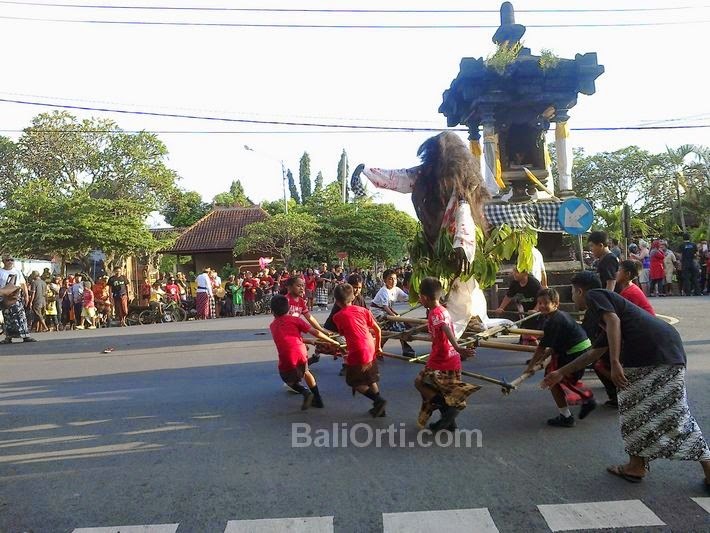 With parental supervision, they create and parading the ogoh-ogoh walk around the village. Ogoh-ogoh are made very small, tailored to their ability to assume and carry around the village. 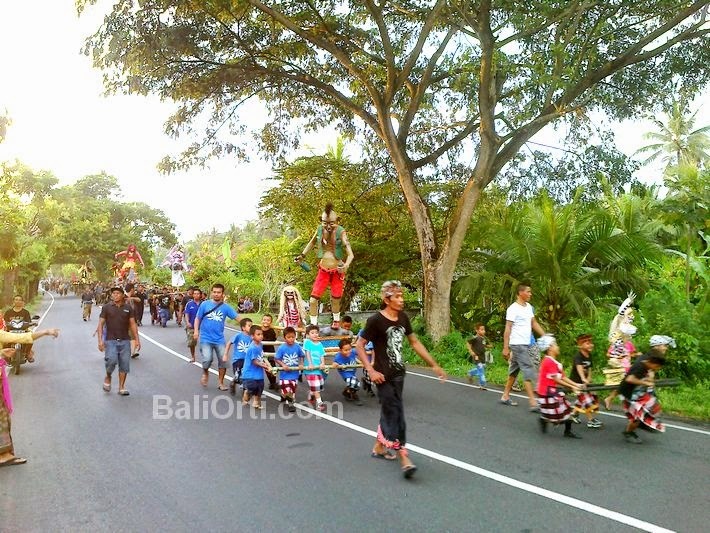 Ogoh-ogoh are paraded on the highway has caused traffic congestion. Cars and motorcycles can not pass. Most of them is to bring the car are the ones who went to Java to leave the island. Hindus have largely been located in their home to enliven parage of ogoh-ogoh with family.